Hero MotoCorp has launched the Duet scooter in India at Rs 48,400 for the LX trim and Rs 49,900 for the VX, ex-Bangalore. The launch follows the unveil of the Maestro Edge and the Duet on Sept 29, 2015. The Hero Duet, as of now, is available only at Bangalore. Hero says that the Duet is built on an all-new chassis and is metal-bodied. The 110cc engine is also new and makes 8.42PS/8.30Nm, with a claimed fuel efficiency of 63.8kmpl. 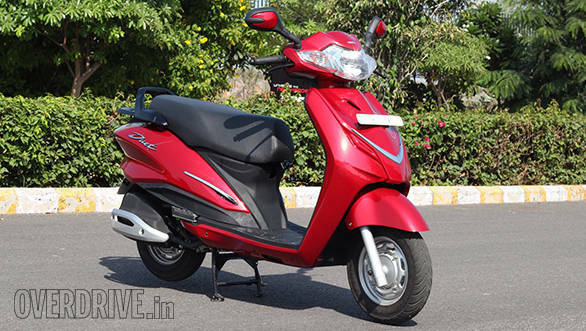 On the features front, Hero has given the Duet scooter an external fuel filler, mobile charging port, boot light, digital analogue meters and also a telescopic front suspension. 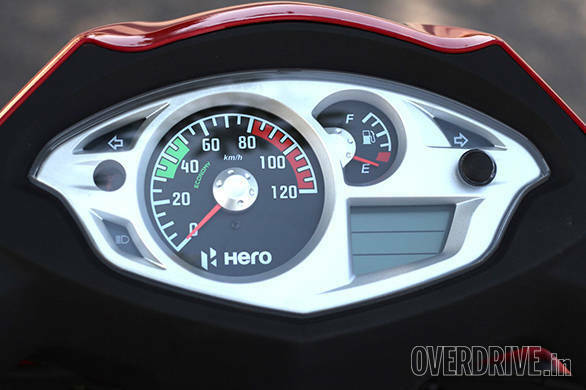 Other additions on the Hero Duet include tubeless tyres, side stand indicator and Integrated Braking System. Pawan Munjal, chairman, MD and CEO, Hero MotoCorp, said, "We have now expanded our scooter portfolio with the launch of the new scooter Duet. The Duet and Maestro Edge scooters  the first of the products developed by our own in-house R&D team - mark a significant step in Hero's journey. The Maestro Edge has already proved to be a blockbuster since its launch earlier this month. Now with Duet in the market, we are confident of further strengthening our presence in the scooter segment."